This secluded hideaway is the perfect honeymooners retreat. 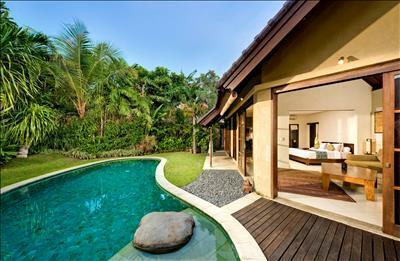 Guests can enjoy total peace and tranquility in this intimate 1-bedroom private pool villa. A sun-drenched free-form swimming pool welcomes guests as they enter through the traditional, Javanese antique door, hidden within a tropical jungle wall. Close the doors and discover a romantic haven of peace. This beautiful villa features a large deck with sunbeds, a lush green garden of unspoiled nature with mature trees, flora and fauna climbing elegantly over old stone walls and tropical birds chirping in the sunshine. An indoor/outdoor lounge area is ideal for guests to enjoy a treatment from Kubu’s Spa Venus such as reflexology, where feet are bathed in a customary bronze basin filled with warm organic sea salted water and rose petals, then cleansed with lavender soap, massaged with Jasmine foot cream and finally soothed with Ylang Ylang oil. The spacious lounge area features a teak wooden table and dining chairs and an adjoining fully equipped kitchenette, all with views over the gardens and pool. A light-filled bedroom with super king-size bed and outdoor en-suite bathroom with a decadent freestanding terrazzo bathtub, and a fabulously romantic outdoor shower complete this honeymooner’s escape. A discrete doorway in the garden allows this villa to connect to the two-bedroom Villa 2 to create three bedrooms, if desired. Thank you for your amazing hospitality. Thank you for your amazing hospitality the villa was wonderful! Many thanks from Villa Kubu. We felt very comfortable at Villa Kubu! 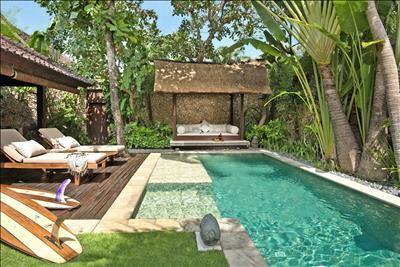 We felt very comfortable at Villa Kubu! Everything was perfect - we had an amazing time. Thank you very much!! Thank you from Villa Kubu. A great start to 2016. Thanks for a beautiful tropical and to our honeymoon and a great start to 2016. Thank you from Villa Kubu! Thank you Villa Kubu! We had a great stay! Your staff are wonderful 🙂 The villa was very peaceful & relaxing! We will be back! Thank you. 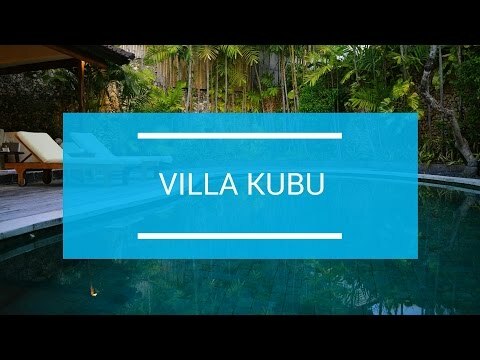 Dear Villa Kubu Team, what an amazing place to stay. Dear Villa Kubu Team, what an amazing place to stay. Everything was wonderful from the beautiful villa to all staff. Thank you to looking after us we will definitely be back, recommend the villas to all our friends. return airport transfers by private, luxury vehicle when booking here. stay on January and February 2018.